A custom knife with a new kind of locking mechanism on the blade is for sale and up for funding this month. 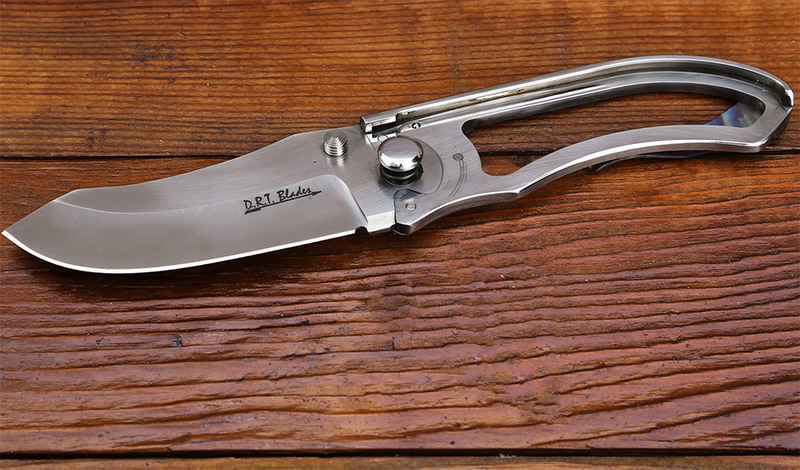 DRT Blades are handmade in the USA, in Thousand Oaks, Calif. Knifemaker Mark Bartschi has a new, one-of-a-kind folding knife called the Puzzle Lock. It is unique because of a patent-pending locking design. 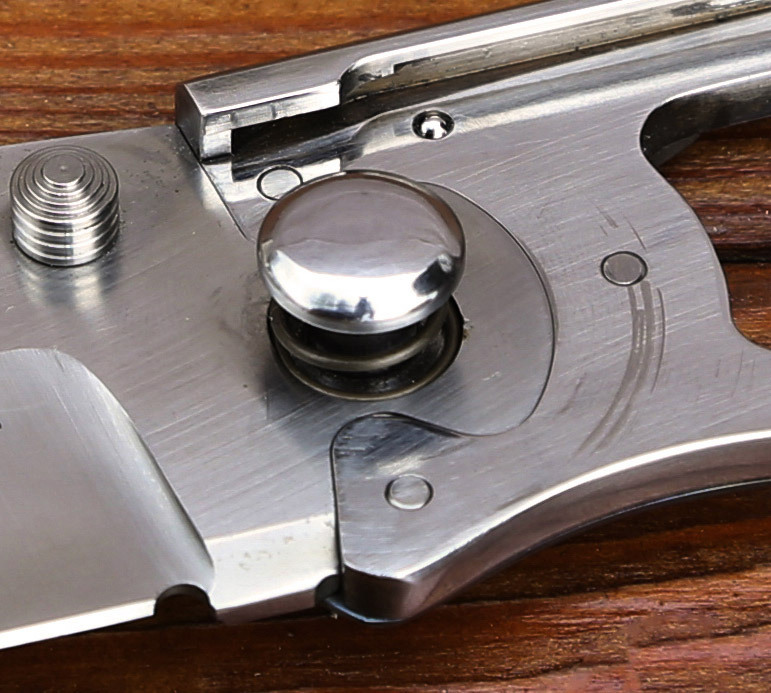 A spring locks a “puzzle” shape piece of the blade into a corresponding slot. It locks in place with a solid click, and the knife handle hinges on the blade, not the other way around. The Puzzle Lock Folding Knife has a blade made of D-2 steel and its handle is 17-4 stainless steel. The scale is titanium. Check it out on Kickstarter or DRT Blades. 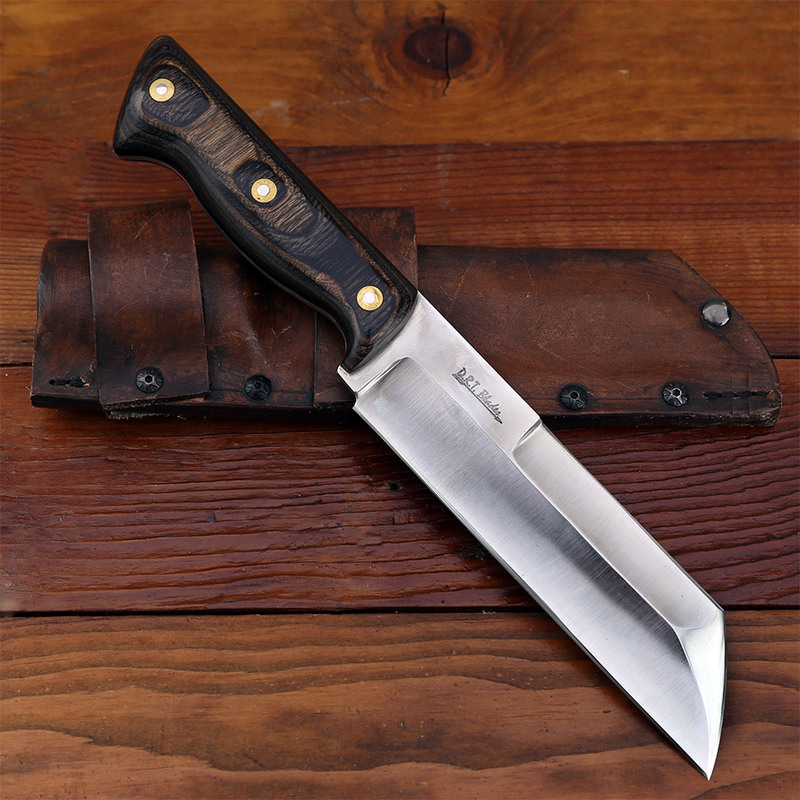 But be warned, this new kind of locking knife does not come cheap, starting at $615 for the handmade blade. 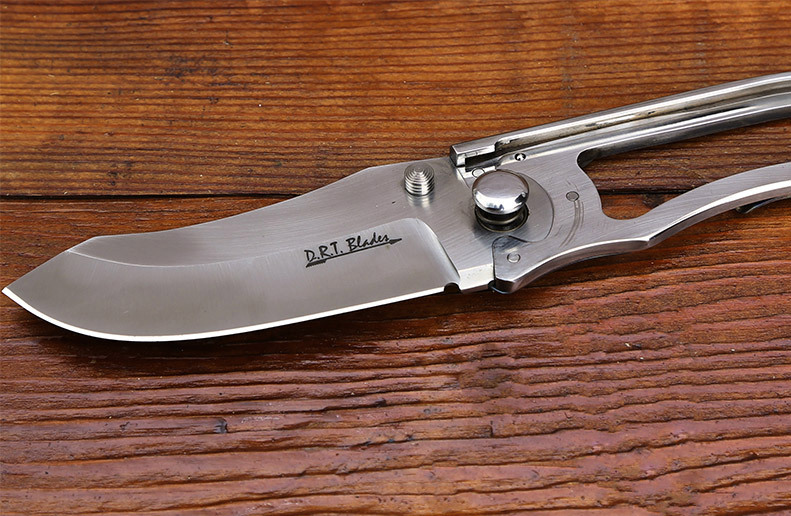 Beyond the folder, DRT Blades sells a few custom offerings. We love the look of the Helldog Tactical Knife (see above), and the Self Defense Credit Card Knife, $25, is pretty wild. The credit card knife is made of titanium and just 0.032 inches thin. 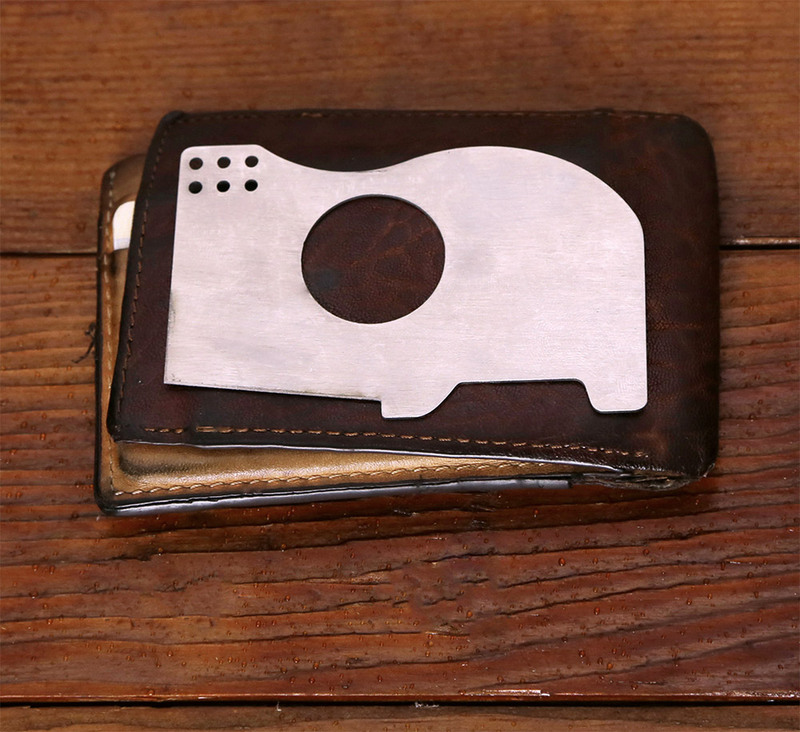 It is sold as a “micro knife that can fit into the smallest of places,” wallet card slots included. DRT Blades’ whole line is available at drtblades.com.